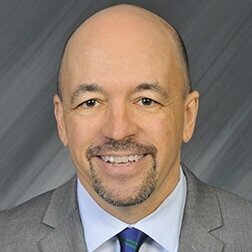 Gary Karr will strengthen the public affairs and media offerings of WCG's healthcare practice. SAN FRANCISCO: Aetna’s former executive director of national business communications, Gary Karr, has been named group director at WCG, a W2O Group company. Based in San Francisco, Karr is responsible for bolstering public affairs and media for the healthcare practice, according to an agency statement. "We have a growing digital health practice, and as we continue to work with companies from an established and start-up perspective, [Karr] will work with them to help articulate their value proposition to payors and other audiences," said Diane Weiser, leader of W2O Health. "In particular, there’s an opportunity to talk about benefits of digital health tech in areas such as adherence and compliance." Karr’s role is new, Weiser confirmed, and he joined the firm following at least two referrals. He reports to Carolyn Wang, the West Coast healthcare practice leader for WCG. Weiser said Karr will also use his existing relationships as an avenue "to grow our business." Before the Hartford, Connecticut-based role at Aetna, Karr served as EVP of public affairs at the Advanced Medical Technology Association (AdvaMed) for two years. His agency experience includes nearly five years at Edelman, where he was EVP in the firm's healthcare practice in Washington. Karr also previously worked at the Centers for Medicare & Medicaid Services as the director of media affairs and at the American Insurance Association as the director of federal media relations. Earlier in his career, Karr was in journalism, working for six years as a statehouse reporter for The Associated Press in South Carolina before spending three years as the press secretary to former South Carolina Governor David Beasley, according to his LinkedIn profile. This story was updated on February 2 with comments from Diane Weiser.